hrchitects.net is an independent blog site that adds critical thinking to the world of HR and leadership. The human factor is the single most important lever an organization has to deliver what its customers need. And very often organizations make it hard for the people they work with and for its customers to do what is needed. The core question is this one: “how can we make sure that people are able and willing to contribute sustainably and help to fulfil the purpose of the organization?” Isn’t that the essence of HR and leadership? This is also the question hrchitects.net wants to answer. By creating a platform of critical thinking about the essence of leadership and HR, we want to help organizations in their progression. 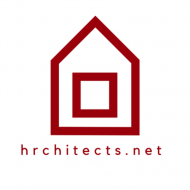 David Ducheyne, an experienced HR Ececutive, created hrchitects.net 5 years ago. He’s the author on books on sustainable leadership and customized organizations and is also an avid blogger.